On the day of your wedding, you are celebrating the unity of two families, and that means two cultures. Whether the bride and groom grew up down the street from one another or their families are from opposite sides of the world, the blending of two families presents an opportunity to get creative when planning your wedding. 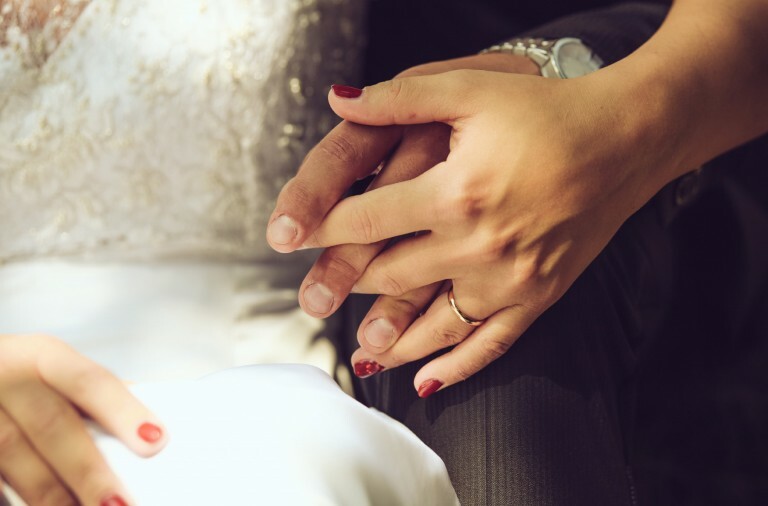 There is so much to be done to prepare for a multi-cultural wedding: educating the families on proper behavior, welcoming guests from across the world, making sure all traditions are properly honored. But often one aspect is brushed to the side: the meal. Food lies at the heart of a cultural tradition, and at your wedding, you want everything to blend together perfectly. How do you go about having both cultures represented equally at the table? The answer is fusion. Like any innovative endeavor, the concept behind fusion originated from the culinary artist’s insatiable need to create. This began an exploration of amalgamating exciting new flavors from diverse cultures to produce something entirely different. Because of its rising popularity since the 1970’s, modern chefs are shying away from the buzzword “fusion,” and opting for more stylish terms like “mash-ups” or “globally inspired.” Call it what you want, in our kitchen, we’re blending. It’s our name, after all. We’ve discovered a passion for the blending of edible traditions, and love sharing what we’ve learned through personalized creations. Sharing our own family food traditions with each other certainly transformed our work together as chefs. Josh has a strong knowledge for Israeli food, while Whitney’s culinary background is deeply rooted in European cuisine. Blend specializes in variety, taking the time to understand each ingredient, its cultural purpose and hidden talents. We discover the essence of what each culture brings to the table want to make culinary magic happen for your dream wedding. From our experience, blending can be anything, but that doesn’t mean that it should be. Did the groom have a favorite home cooked meal growing up, but the bride dreams of a Parisian style multi-course meal? We aren’t about to serve an overwhelming hodgepodge of unrelated dishes. Instead, we take elements of traditional dishes and create something entirely new, without diffusing the masterful culture our recipes pay homage to. At Blend, we create under the the philosophy: If you can name it, we can plate it. If your wedding event meal is split between two distinct cultures, we are beyond excited to dream up a menu with you that represents both cultures equally. All it takes is a conversation, a little research, and a serious attention to detail. Ready to Blend for you wedding, Book your consultation today!